Ensure access to a Bridge Server, installed Connector, and defined Bridge Action. These configurations are created and managed within the administration interface. Now it’s your turn. 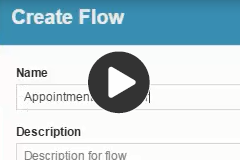 Try creating an outbound call flow for your own environment. For additional assistance, refer to the corresponding task instructions and the supporting video.